It is an urban jungle inside Aubrey Miles and Troy Montero's home. 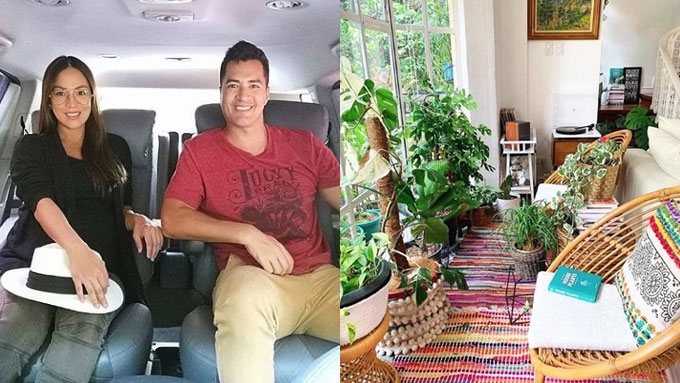 Aubrey Miles tags herself as a "#botanicalwoman," and one look around her home with partner Troy Montero will immediately tell you why. Aubrey has gradually been transforming their all-white home into an indoor jungle. Every empty space is filled with a variety of potted plants. Each room appears to have a bunch of them, giving the space a refreshing ambiance. Even their exteriors are adorned with Aubrey's plant buddies. Back in an August 2017 interview with PEP.ph (Philippine Entertainment Portal), Aubrey revealed that she had around 45 plants in her home. She doted on them like she did on her children—Maurie, Hunter, and Rocket. The now mother of three said, "You take care of them, you wipe them, and then they respond to your caring. "Parang, for me, it's so rewarding. It's like I have 45 kids, like, 'Oh my God, one leaf is coming out!'" For Aubrey, taking care of plants is her way of starting her day in a positive way. "Before I go to the gym, I wake up at 5:30 a.m., I’ll water, wipe, spray them, check the ants for two hours. "That’s kinda my soft part, I get to relax."